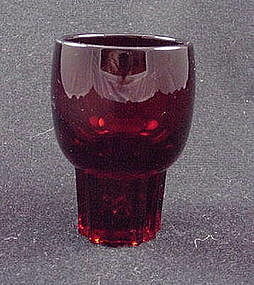 This 3 oz whiskey tumbler was produced by Paden City Glass Company during the 1930's - 40's. The shape is from their line #215, called Glades and the color is a rich, ruby red. (Sorry for the poor picture, my camera has trouble with ruby this intense.) Excellent condition.